This is my go to pattern for this time of year. It goes with my idea of the ” Loosening Up Factor”. 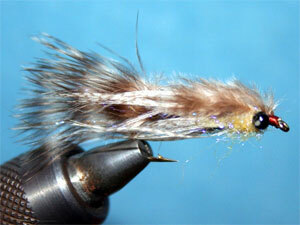 Which you can read about in Volume 13 Issue 5 of Midwest Fly Fishing. This fly works great tied smaller to Nymph, or make it a little bigger and swing it. It’s a fast and easy to make, similar to my PM Parr.